Just kidding — there isn’t a magic bullet for writing successful queries. But as you can tell from the comments on last week’s query tips, and several other query posts I’ve written, everyone is still obsessed with query letters. Even after I’ve implied that everyone is overthinking how to write a query and should simmer down. Everyone’s looking for the key to writing successful queries…but is there one? Why Are People Obsessed With Writing Successful Queries? Queries are your first contact with an agent, your foot in the door, your first impression. They have an overwhelming amount of perceived importance: if this letter isn’t awesome, the book won’t get read, I’ll never be published, etc. There are so many opinions out there about queries…from message threads to entire blogs devoted solely to queries. Writers don’t have a slush pile to read so they have no context for what a bunch of real, live queries actually looks like (or any idea of how many people they will outshine just by writing their letters in basic, grammatical English). And I get it. I’m not trying to poke fun at how fixated writers are on writing successful queries, nor to diminish their importance. But I always get really frustrated with writers who start freaking out. Here’s my take on it: the writing sample is so much more important than the query. The query is a 250 or so word cover letter that is meant to introduce the agent to a writer’s premise and qualifications in a snappy, enticing way. That’s all. Some people put a hook at the beginning, then the meat, as shown above. Others put the personalization, omit the hook, and dive into the meat. The salutation always goes first, the vital statistics and the sign-off usually go last. In between? You can make it your own. I’m just one agent…we all have our preferences and mine may not be the same as a colleague’s at a different agency…or even a colleague’s at my own agency. For every person who can think about a task and follow directions, there are a dozen who can’t and won’t and will misspell your name, to boot. It’s really not about satisfying my tastes in query letters, it’s about writing your own and not worrying whether or not you’ve used my favorite word or formatting quirk. I really don’t care. Honestly. Please believe me. I have many other things to think about. Every query that I’ve ever loved, for every client that I’ve ever taken on, for every project I’ve sold, has been different. 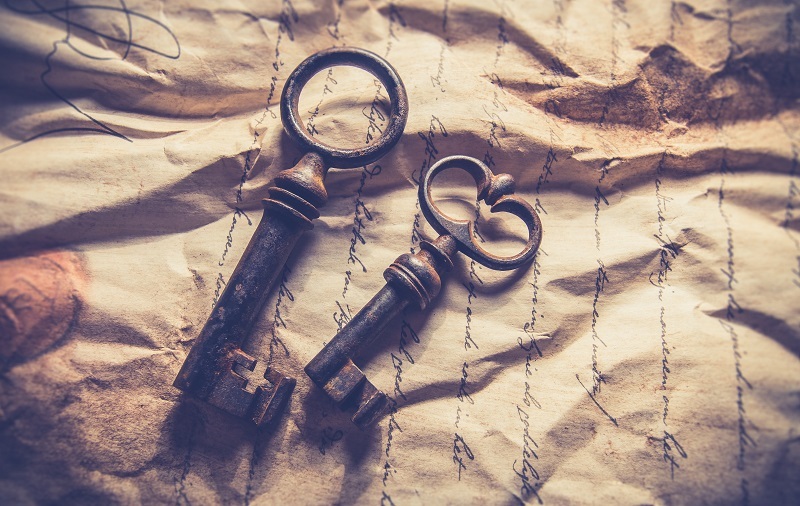 There’s no secret key to writing successful queries we’re all keeping from you. I’m not staying up at night, tossing and turning, because you put your bio paragraph before your salutation. By the time I’m reading the manuscript and loving it, the query is a fuzzy memory that I usually dig up only when I’m writing my own pitch letter for the project, just for fun. I don’t think I’ve ever read the perfect query, nor am I convinced that such a thing exists. There are queries I’ve loved, like Karsten Knight’s for WILDEFIRE, but copying that query and substituting your own details, like one writer actually did on a message board a few weeks ago, isn’t going to work. It’s his query and shone so much for the exact reason that it had his unique personality in it. That’s why I don’t like agency submission forms that ask you to fill in all the details of your book according to my preferences. I really do want to see what you do with the query. Not because it will determine your fate or the fate of your book or your life, but because it’s another way I get to learn about you as a writer. I know I’ll get some pushback on this post, but I don’t care. Write your query, try and follow the advice you’ve read that makes sense to you, put it away, revise it, get some feedback from your critique group, and then go back to the more important thing: your manuscript. Need query letter help? Hire me as your query letter editor. I’ve seen tens of thousands of queries, and I can help yours stand out in the slush pile. Straight, simple, and to the point. Thanks Mary! Kayla — I actually only spell it out here because it seems like most of the queries I receive do mention it, so I figured someone somewhere had said to do it and I agree. Exclusive submissions certainly require mention, simultaneous submissions are obvious, but I see this so often that it has written its way into my “query must have” list. I think writers get their knickers in a twist over queries because they feel not being able to write one well could scupper their chances of getting their amazingly well-written novel getting read/repped. But isn’t it probably true that if you can write a great novel you can also, with a bit of effort, write a decent query? Best thing I ever did to improve my query writing — read a ton of queries. There’s dozens of sites where people post their queries for critique. It really helped me to see what appealed to me and what didn’t. Thanks Mary. Query letters have taken on monstrous proportions for us writers, and fear of not writing a perfect one is too easy an excuse to freeze and not do anything. I love your advice to basically stop freaking out. Thanks for spelling it out again for us. Siski — That’s true. But…a lot of the time, writers think they’ve written a brilliant novel and their shoddy query is the only thing in the way…and they’d be better served seeing their novel in more realistic terms. It’s a lot more difficult to write an amazing novel than it is to put together a query to accompany it. I thought the query creation process was a lot of fun! So much fun I couldn’t stop fiddling with other people’s queries during Write On Con. It’s so satisfying when you find the perfect way to express a lot in just a few words. Thing is, why let negative emotions have control? If you’re a writer, and you’ve reached the query stage with your manuscript, that is a joyful, exciting time. I guess you could say scary, too, but scary in a good way, in a roller coaster clicking-up-the-mountain way. You can’t control your destination, but you can choose to take the journey. Why not enjoy the ride? Some good advice. I never thought of it as a way for the agent to get to know the author. Good point. Query letters are a great opportunity to stand back from your own novel and see it stripped down. I’ve learned more about story structure from writing query letters than I have from some how-to books. When I’m looking for feedback, from workshop or friends, I show two different versions of a query and ask which one is more compelling. Most of us don’t know *why* we like something, but we know it when we see it. My cats love all my queries equally, but that’s because I cover them in catnip. Laughing at Tamara’s comment with the catnip. Just……thanks. Really. Honest, straightforward information on queries. I’ll refer to this post when I’m working on mine. I always looked at queries as the business side of novel writing. As a freelance journalist, the query was my entry into every magazine I wrote for. It should be professional, polished, and informative. Most importantly, every query needs a hook. In magazines, it was the article’s main point, or what made it different from every other evergreen article idea out there. With fiction, the hook is much more exciting and writers need to nail that one, or two paragraph, description of their novel. Intimidating? Maybe, but the payoff is huge if you can grab an agent’s attention! Queries are a great skill for every writer to master. I can understand query fear and obsession. It seems like a lot hinged upon very little. It makes me happy to see that you put more stock in the sample pages than the query. Those agents that are query-only are the scariest. Queries and novels are two such different beasts and one shouldn’t be judged solely upon the other, imo. Well, no one wants to be the one to say it, and I’m being kind and diplomatic to both sides to do so, but….we unpublished authors still in the submission trenches get blamed for everything in the current industry. EVERY. THING. Editors can’t do their job because they’re “too busy” and “too flooded” with submissions. Agents complain that they’re “too flooded” with first-timers. Agent/editor bloggers write two out of three columns trying to tell the “first-timers” what they’re doing wrong, and to please stop doing it wrong so it’ll make their job easier. Tell me that there’s not some REAL resentment or scapegoating, or cold-war stereotyping lurking under the surface on both sides of the fence, and you don’t know a lot about the human condition. I’m just an average guy…Who, I like to think, takes the time and effort to write above-average stories. I’m not Sweet Mary Newbie, ex-kindergarten librarian with her five cats, who, Kane-style, thought it “might be fun” to write a thoroughly clueless and unresearched picture book about The Littlest Puppy. And if I walk up to you (or any agent working on the stratospheric floors of 5th Ave.) at an SCBWI conference, and you look at me as if I am…that hurts. I know the stories I write, I know the stories I grew up on as reader, and I like to think I’m learning every day a better way to streamline the process–I can’t wipe the SMN’s off the face of the earth with a wave of my hand, even though I feel your pain and wish that I could. I wish editors DID have time to do their job, and actually edit and interact with their authors for a change. If you’re looking at me as if I had the power to change it, I don’t. In this system, we are the peasants: We work hard, we’re propping up the bottom of the strata, we own nothing, and we have no rights to assert…And as far as the nobility is concerned, we’re dirty, muddy, uneducated, there are too many of us, and we should leave the job of running the industry to those born to it. I’m sorry for what that sounds like, but folks here should look themselves in the mirror and admit that they haven’t been resentful or paranoid enough to think that at least once. And if they project those feelings to think the PTB feel the same way about them, it can’t lead to anything good. 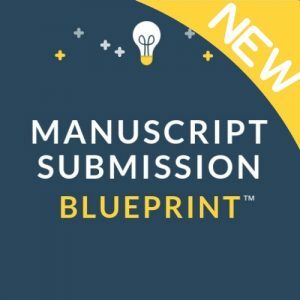 Learning about better queries and better submissions is like refining a manuscript–You can’t ever finish, as long as there’s one more improvement. When we ask how to write a better query, we’re trying to make peace with you. We’re trying to follow every rule that you’ve never quite bothered to let us in on until now, and blame us for not following. We’re showing that we want to work with the agent, not At her. We’re trying to show you the human face behind the manuscript that’s “not right for your list”, and suggest that maybe it was the story, not the person, or “peasant”, that was at fault. A peasant (the writer) who gets 85% of the cash, with the nobility (the agent) only getting 15%? Suits me. As for your librarian, kindergarten, cat comment… great way to alienate a huge proportion of your would-be readers! Glad you love the industry too, though. That’s a plus. If someone wiped out the cross-section of female writers who love cats and working at libraries, who would be left at the conferences? Nobody but the “nice guys” like you! Point is, I was in a discussion with other authors about the evils of (boo, hiss!) phoning editors. That’s not the jarring part…The jarring part is that this rather rude comment came from ANOTHER AUTHOR. The authors, live in such fear–yes, fear–of even personally offending those in charge of their profession, they would turn on each other like jackals rather see a traitorous word spoken against them. Yes, there is fear there, that an agent or an editor will bring an author’s career to a halt just because they weren’t “feeling good” that morning. There is resentment there, that we appeal to an industry that creates closed walls around itself, and reacts with offended indignance when those who wish to participate in its commerce ask to understand it better. “They” have become Angry Gods, and those underneath them choose to live in fear and awe rather than reach out to understanding or enlightenment. Which is why, as in the earlier post, we are so “obsessed” with the query and submission process as a process: We know (or hope) our story will be a page-turner, but there’s a closed, arcane ritual standing between our writing it and the agent/editor reading it. We know–from our own experiences–that once you pick up a good story, it’s All About the Story, so, why, right now, is it about so many other things, most of which seem to be “punishment” for there being so many of us. The editor-blog culture, where agents and authors can talk about what they both want in a book, didn’t exist when I started out, but it’s valuable now: We want understanding, not sacrifices to a hair-trigger volcano god that will bury our village bamboo huts with lava if we use the wrong semi-colon. Ah, so the nobility are the editors. I misunderstood. I thought both agents and editors were considered gate-keepers and therefore members of the nobility. I do get what you’re saying but I don’t agree. 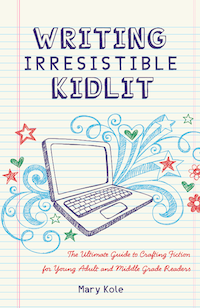 There’s also a lot of fluffy lovey-dovey author-agent-editor stuff and run-of-the-mill stuff going on too – it just doesn’t make the kid lit headlines. I think most people are worried about queries because, well, they want to get published and they see it as part of the process to getting there. I also disagree with you Eric. In my mind, it’s a process of weeding out writers. Not just bad writers, either. The query tells an agent if there’s a story question, what the stakes of the story are, and introduces them to a character or two. Even if someone has a brilliant writing sample, they may not have figured out how to tell a compelling story. I always guessed that was the reason some agents asked for a synopsis, too: so they know the story is going somewhere. The query also tells an agent if they are interested in that particular story. I’ve seen it on Query Shark again and again…Good query but form rejection because it’s just not something I’m interested in. If I thought that everything but the manuscript were just pointless hoops, I would be angry. But I don’t see it that way. Nor do I feel like I’m a telemarketer. Agents ask for queries. Like Franziska, I see the query letter as part of the process of getting to publication, which is my ultimate goal. I’m good with it if other people make money on my book along the way. I feel compelled to respond to Eric’s post. There is a huge oversupply of people wanting to be published writers. Supply exceeds demand, therefore the value of unpublished manuscripts is quite low. Getting a “real” book out is going to happen for — what, 1% of us? And we’ll have to be lucky, or amazing, or both. I try to think of getting published as more of a door prize than a degree. Nobody’s entitled to it. So let’s have fun at the party since we’re here. Some common sense instead of hysteria at last. It is a hard business. It should be. If every agent pursued every query, well, can you imagine how long it would take to ever hear back from them? I sent a query to an agent once (not Mary 🙂 who waited three months before letting me know that he’d love to read the manuscript, then seven months before officially declining representation. And mine was one of the “three or four” manuscripts he requests, on average, per month! The truth is, queries do get through. It’s not impossible to write a good query–you just have to do your research and revise it until you get the words right. And though at times it seems impossible to crack the slush pile, it’s not. It might take a year or two. It might take an occasional trip to SCWBI or some other conference. It might take shelling out a bit of cash to attend a writer’s retreat. It might take several books (I’m at seven and counting . . .). But it happens. Still, what if, for some inexplicable reason, it doesn’t (at least not according to your time frame)? What if the stars align against you and your story seems forever doomed to sit in Word format beneath your coffee table? Maybe I’m romantic and defeatist at the same time, but I say “fine.” You’ve still written something worthwhile that’s probably changed your life, right? Good. Be proud of it. One of my all-time favorite pieces in any publication is a New Yorker “Life and Letters” profile on Bruno Schultz, called “The Age of Genus,” by David Grossman (June 8 2009). It’s brilliant. It’s poignant. It’s every reason I started writing in the first place. Whenever I feel a bit beat up, I read about Schultz and consume Grossman’s words, and it rejuvenates me. At least for me, it’s not so much what happens to my words after I’ve written them (i.e. who sees them and how much money I make). It’s the words themselves. I have no idea how much prestige and money Grossman got out of that article, but if I had written that piece, I could die happy. Excellent advice. However, I do feel that every writer will always place an enormous amount of weight on that query. No matter what, a query is a first impression. Writer’s want their material to get the best possible chance and trying to captivate an agent in that first meeting is a huge task. It’s like a first date… will you talk too much? Tell a bad joke? Belch during the meal? It’s nerve-racking but if you know who you are, what you’re doing and where you’re going, then it should be smooth. The Query process is nerve racking, because, for first time Novelists, it is the unknown. Everyone gets nervous over the unknown (or dare I say fearful?) And yes reading many, many queries may help conquer some of the fear. I have, but I still have trepidation if I’ve done the best work for this story that I can–even if others feel I have. Artists…..
Got any advice for someone who’s just scared to death? I have a great idea, great hook, table of contents fleshed out, have interviewed doctors, nurses, and others and even have the Governor of my state ready to write the foreword. But, I’m petrified!! Help me get past this……………… Please.